This battery is made out of paper and powered by bacteria. Our dependence on battery-powered technology is prompting us to look in the most unlikely places for ways to improve it. In the case of this latest discovery, that means bacteria. Researchers from Binghamton University, State University of New York have develop a battery that generates its energy from bacteria. This bacteria-powered battery is mounted on a single sheet of paper that can be folded and stacked to generate different levels of power. 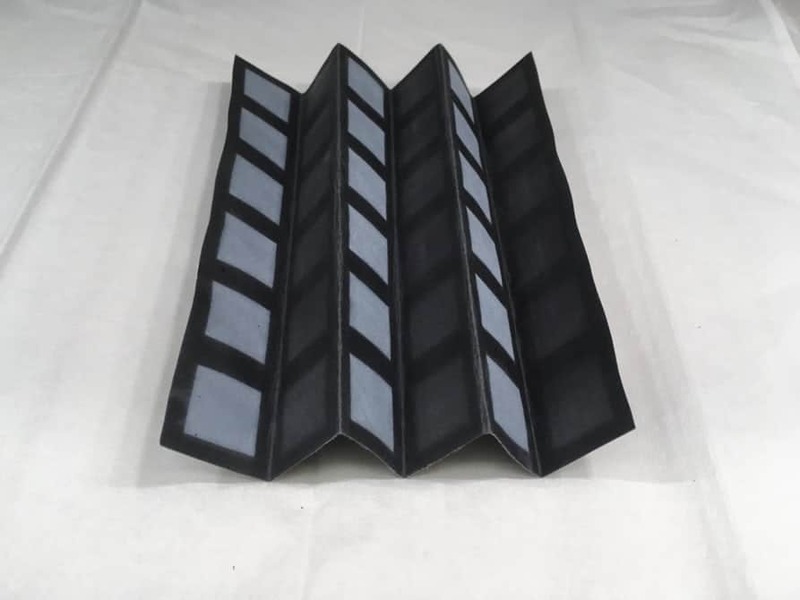 “Among many flexible and integrative paper-based batteries with a large upside, paper-based microbial fuel cell technology is arguably the most underdeveloped,” says Seokheun “Sean” Choi, lead researcher of the study. His team’s latest research is based on a previous matchbook-styled prototype they developed back in 2015, which evolved into a more powerful version that took the shape of a ninja throwing star. In the latest version of their technology, a cathode is created using a sliver of silver nitrate placed under a very thin layer of wax on a single sheet of chromatography paper. A reservoir created out of conductive polymer is made on the opposite half of the paper to form the anode. Once a bit of bacteria-laden liquid is dropped onto the paper and the two sides come in contact with one another through folding, the microbes’ cellular respiration is used to generate electricity. Because this battery can be folded into various configurations, it is both easily portable and capable of generating differing amounts of energy depending on the needs of the user. A configuration of six batteries in three parallel series produced 31.51 microwatts at 125.53 microamps, while a six-by-six configuration generated 44.85 microwatts at 105.89 microamps, according to Newswise. While this amount of energy wouldn’t be enough to illuminate a light bulb, let alone power a smartphone, it’s more than enough to power things like biosensors that can perform life-saving functions. Combine that energy output with the device’s portability and low cost, and you have a technology that could prove remarkably useful in remote areas or in emergency and disaster situations.